While concerns that some parents have towards multi-grade classes may be warranted in certain situations, split classes have shown to be just as effective as a single-grade classes but can offer additional benefits to academic, emotional and social development. Various systems, including those in Australia, Canada and the U.S., as well as International Baccalaureate schools, purposely run split classes. These schools recognize that a combined class can enable older students to gain greater self-confidence and grow leadership skills as they come alongside and help younger classmates. In fact, one of the best ways for a child to experience deep learning in a given area is to teach a concept to another person. Although it is never expected that a student would be solely responsible to teach another student in his or her class, the social, emotional and academic skills that are developed when one is given the opportunity to coach or walk through a concept in a given subject area with another student are tremendous. There are additional advantages to being in a split grade. 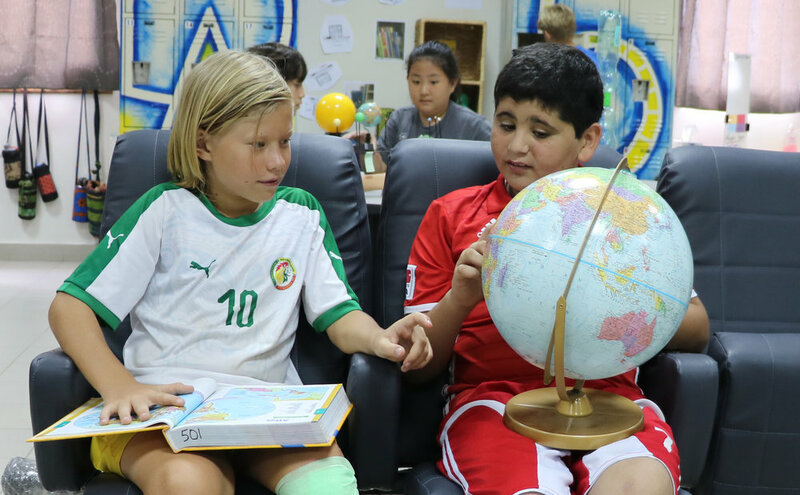 As educators, we are always seeking ways to have students interact with a diverse range of students—multi-grade classes enable this to occur naturally and increases a child's circle of friends beyond their immediate peer group. In many ways, a split class more closely mirrors the real world where students will experience a broader range of ages as well as ability levels. Finally, students that are in the lower grades can be motivated to achieve a higher level that is being displayed by those in the subsequent grade, while at the same time not feel anxious if they are not reaching the same level as their older classmates. To believe that a single grade class will be homogeneous is incorrect. A teacher must differentiate and adapt his or her teaching to meet the diverse needs and learning styles of each student in the class. Good teachers do not teach to the middle; they recognize that every class, be it a multi-grade class or single grade class, will inevitably have numerous levels of academic abilities as well as social and emotional needs. Therefore, it is imperative to have teachers that diligently seek to teach to and meet the needs of all learners in their classroom. Dan Hein is the West Campus Director for Dakar Academy Schools. West Campus will open for grades PreK-4 in the fall of 2019.